The LP-01 Assembly Press tool is designed to apply even pressure to single LED assemblies when using thermal tape or Arctic Silver to fasten the assembly to a heatsink. The press can be used to apply pressure by hand, clamps or weights, without the risk of damaging the mounted LEDs. An LP-01 Assembly Press tool is included free of charge with every order of pre-cut thermal tape for single LED assemblies. There is no need to order this part. 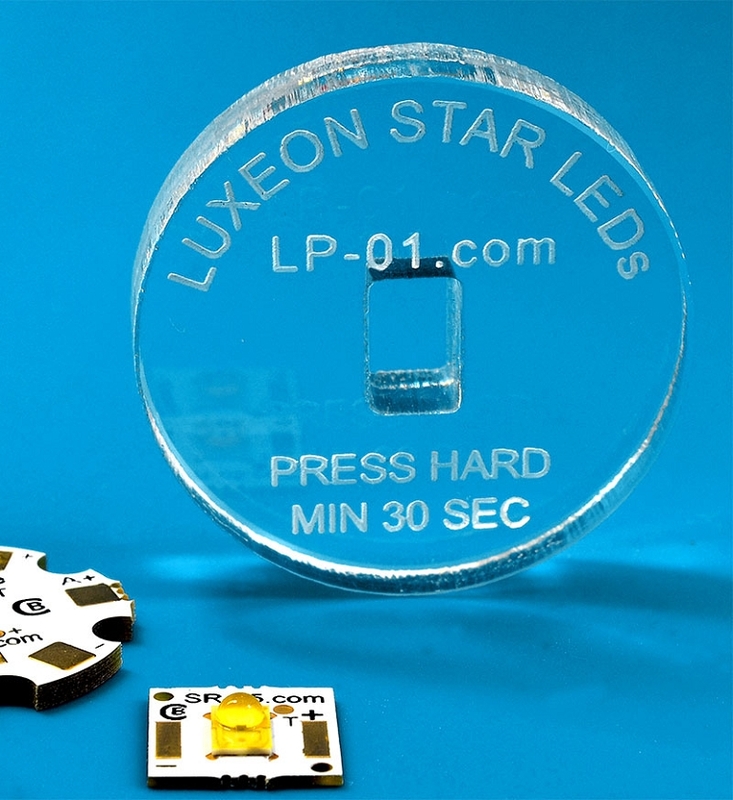 To achieve the best thermal performance from our pre-cut thermal adhesive tape or Arctic Silver epoxy adhesive, it is important to apply at least 10 psi of even, constant pressure to the LED assembly for at least 30 seconds. Watch the video below to learn how an Assembly Press makes this easy.